For 2019, Comfort Colors introduces a new go-to hooded T-shirt that is perfect for any season. The brand says it is known for apparel made with quality and craftsmanship and its new tee “is no exception”. 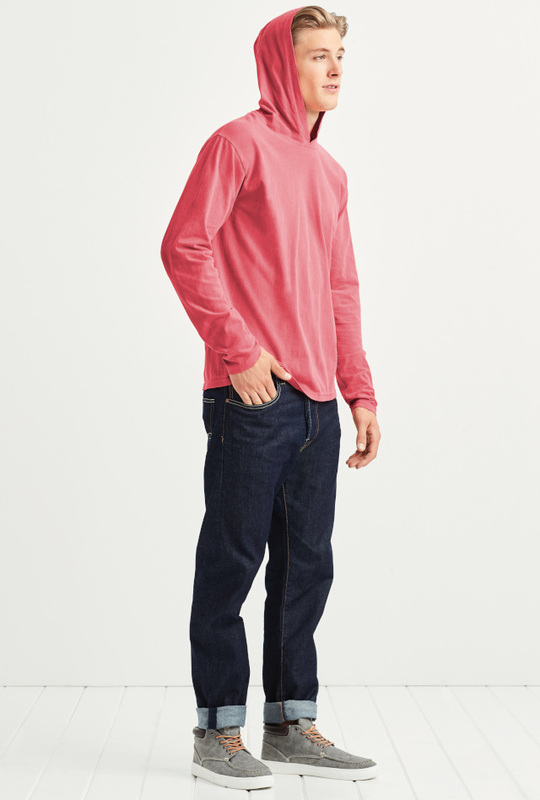 The Adult Heavyweight Long Sleeve Hooded Tee (4900) is crafted from 207gsm, 100% cotton in super-soft ringspun yarns. Its hems are secured with twin-needle stitching, so you can wear it as often as you like at any time of year. “Whether worn as a base layer or alone, this new hooded tee looks as good as it feels,“ adds the brand. The unique dyeing process, which Comfort Colors has spent over 40 years perfecting, gives a look and feel that is equivalent to the effect of 50 wash cycles. “It achieves a worn-in look without the clothes losing shape or shrinking,” the brand explains. It adds that direct/reactive dyes create bright shades that stand out and stay bold over time, while pigment colours give clothing a vintage, earthy look with hues that soften with age and washing. This new long sleeve option is available in 12 nature-inspired colours in sizes S-2XL. 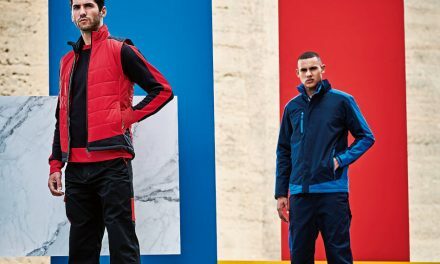 Giving women an even greater colour choice is also a top priority for Comfort Colors in 2019, the brand confirms. 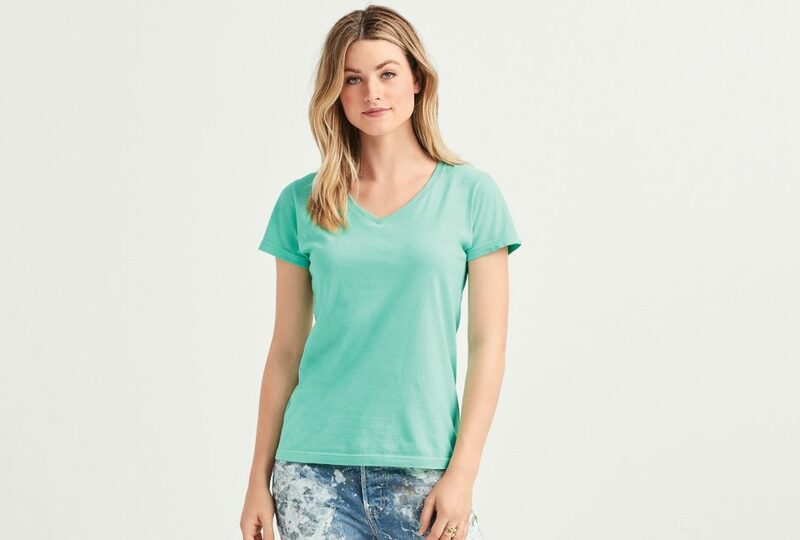 The Ladies’ Midweight V-Neck Tee (3199) features two gorgeous new colours, lagoon blue and seafoam. Visit the Comfort Colors website to learn more about its “super-comfy apparel, offered in a rich spectrum of irresistible hues“.